Do you or your business you send email to Canadians? If so, you will want to learn more about Canada’s new Anti-Spam Law which comes into effect on July 1, 2014. 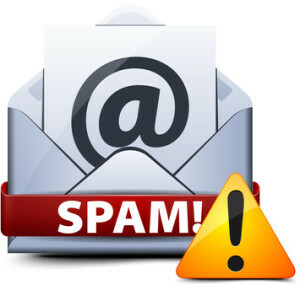 On July 1, 2014, Canada’s new anti-spam law, known as CASL, will come into effect. This article will provide a brief overview CASL insofar as it addresses the sending of commercial email messages, and how it will affect small businesses, in particular those which employ internet & email marketing systems. An Act to promote the efficiency and adaptability of the Canadian economy by regulating certain activities that discourage reliance on electronic means of carrying out commercial activities, and to amend the Canadian Radio-television and Telecommunications. The law is premised on the idea that historically the sending of commercial electronic messages (a “CEM”) has been unregulated. This lack of regulation led to abusive practises such as the sending out of unsolicited commercial emails, and then in turn the mass sending of unsolicited commercial emails (“spam”). Harmless, yet annoying spam, being that which is solely intended to put an offer before a potential customer to gain their click is little more than an inconvenient thief of our time as most of us have had the displeasure of spending the time to clean out our inbox of all the unsolicited junk-mail. The greater evil however is the spam that is disguised as legitimate email messages which may be designed to mislead the user, or install malware programs on the recipient’s computer (unknowingly). Malware comes in many forms, and the potential consequences of being affected by it include identity theft, theft of passwords, banking information, personal information and a general loss of privacy and breached safety to name a few. These are real concerns and worth addressing. Indeed, internet and email users are now well aware that such email scams / threats exist, and that they are often delivered in the form of spam, or disguised emails. It is precisely these abusive practises that CASL intends to address because, as premised in the long title, these practises discourage users from trusting in, and adopting to the use of e-commerce, and thus the economy cannot be as efficient as it otherwise could if more people would adopt to the efficient e-commerce technology available. The apparent logic is that if the number of unsolicited commercial emails is reduced then as a result, email as a tool of commerce will be more reliable, efficient and safe, and there would a decreased chance of a threat or scam message going unrecognized. Section 12 of CASL states that the Anti-Spam provisions in S. 6 apply where a computer system located in Canada is used to either send, or to access the email in question. S. 6 of CASL outlines the regulation of CEM’s. This section sets out that unless exempted in the Act, consent is required from the recipient in order to send them a CEM. Consent may be express, which is the best form of consent which does not expire until revoked, or implied, which is a limited use consent. Keep in mind that consent must be somewhat specific, let the recipient know ahead of time for which purpose you will be sending them CEMs. S. 6 also describes the required format of a CEM. In particular, CEM’s must include the identity and contact information of the sender, as well as a working and conspicuous unsubscribe mechanism. The contact information must be a mailing address and email, web or phone contact info. S. 7 restricts the forwarding of a CEM to a destination other than or in addition to that specified by the sender without the consent of the sender (i.e., no unauthorised re-direction, forwarding or interception of a CEM). S. 8 prohibits the installation of a computer program on another person’s computer unless it expressly consented to by the person on whose computer it will be installed (i.e. this section addresses malware / phishing software). Pursuant to s. 13, the burden of proving recipient consent rests with the sender. This means that if an allegation of contravening CASL is brought against you, you, the sender must prove that consent was obtained. Internet marketers, entrepreneurs and businesses that collect users email addresses for a mailing/marketing list should ensure that their opt-in collection mechanism explains clearly the purpose for collection of the email / info. A record of the opt-in should be maintained in a database (most 3P service providers such as A Weber or Mail-chimp, and other mailing list software will have a way to maintain record of the opt-in). Double opt-in is the recommended level to ensure the integrity of your mailing list. Was this article helpful? Join our Mailing List.